Have a Go Gardening at Graceworks! Do you love the taste of home-grown veggies but don’t know where start with growing your own? Would you like to grow beautiful flowers and vegetables that also support wildlife? Want to produce your own food but only have a small space? Have a go at building raised beds, bean poles or pallet furniture? Want to learn in a friendly informal environment? 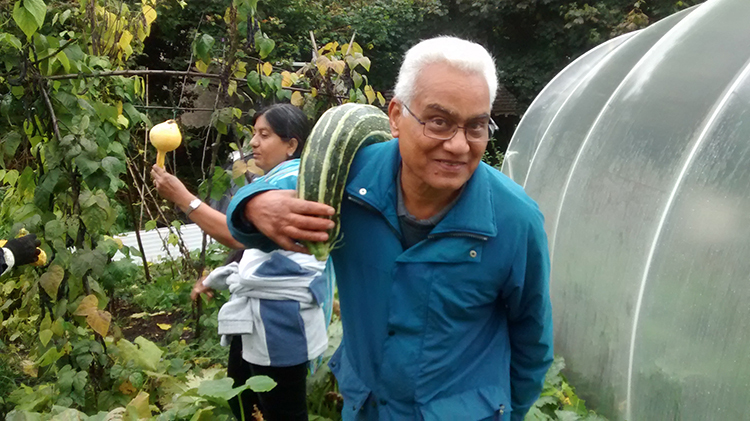 Sam leads the Gardening group on Wednesdays between 10.30am and 1.30pm. Click here to find out when the next session is on. If you are interested in coming along then please send Sam an email at sam@gworks.org.uk or ring 07890 587611.